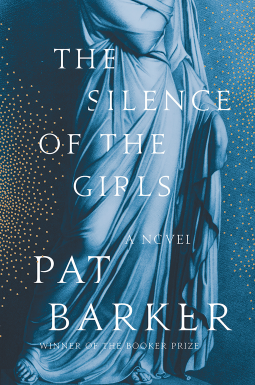 The Silence of the Girls by Pat Barker is a retelling of the Illiad through the eyes of Briseis. Barker was born in Thornaby-on-Tees in 1943. She was educated at the London School of Economics and has been a teacher of history and politics. She is the author of several historical fiction novels. Briseis was the mythical queen of Lyrnessus in Asian Minon at the time of the Trojan War. She finds herself trapped in the city walls as the Greeks lay siege to the city. She watches as Achilles kills her husband and sons. Briseis is taken prisoner and given to Achilles as a prize by Agamemnon. Captive life is not pleasant as Achilles bedmate, but she does have freedom of movement in the camp. She becomes key in the dispute between Achilles and Agamemnon. The story told from the Briseis perspective a queen who is suddenly a slave is exciting in itself since slaves and women never had a voice in that period (mythical or not). At some point, however, it does seem like women’s literature especially when Briseis talks with the other women in the camp. The language appears too modern in places, but I suppose there were the same words in Greek as modern English. This is also offset by with battles and bubonic plague. There is a healthy mix of perspective, mythology, and storytelling in this novel. An excellent telling of a classic story that does adds to the original instead of harming the original. A well-done adaptation.